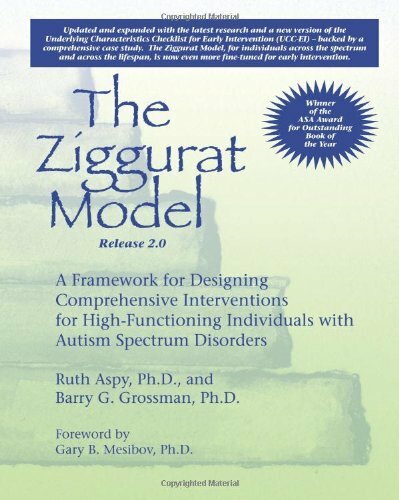 The Ziggurat Model, for individuals across the spectrum and across the lifespan, is now even more fine-tuned for early intervention. Version 2.0 Includes: the latest autism research a new Underlying Characteristics Checklist for Early Intervention, UCC-EI, backed by a comprehensive case study This version of the critically acclaimed Ziggurat Model also offers a special section on how to integrate it with The Comprehensive Autism Planning System and includes the following features, which are increasingly being adopted by school districts as essential tools in program planning and treatment: Classic (CL) and High-Functioning (HF) Underlying Characteristics Checklist (UCC) (see below) Individual Strengths and Skills Inventory (ISSI) Updated Global Intervention Plan: Guide to Establishing Priorities, which incorporates person centered planning While The Ziggurat Model is designed to address the needs of all individuals with autism spectrum disorders, this book is written explicitly for those who are higher functioning. The book includes assessment tools, case scenarios, and interventions developed with their needs in mind.